Whew. What a ride the last 24 hours has been. Yesterday was literally a day where every emotion ran through my body in a way I am not sure I can even put into words. It was incredible. And I am still riding high from it all. 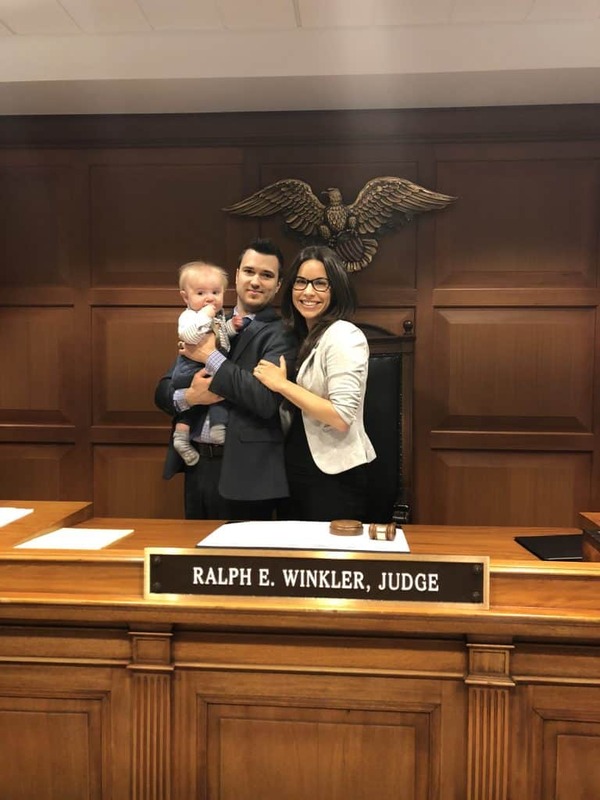 If you are new here, yesterday was the finalization of the adoption of our son, Samuel. He is 100% officially ours. Forever. It has been very difficult throughout the time we have had Sam to keep quiet on here about his story and the journey that led us to him. Throughout all of our struggles from miscarriages to fertility treatments, I have been very open and upfront of all the details and what we have gone through. Then, when Sam was born, it was like a big piece of duct tape was placed over my mouth (well, perhaps my fingers since I am typing and not talking, but you get the picture.). Because the adoption is not final until 6 months after the papers are signed, we were advised to keep the story, details, pictures, etc. off of the internet and social media. When you are so happy and want to stand at the top of the mountain and shout to every corner of the world how excited you are and tell everyone you walk by, THAT is a tough task! Especially when you have an amazing community of supporters who have been with you through the years of pain and struggle. So I thank you so much for your patience. They say the best that comes to those who wait, right? And Sam is living proof of the truth of that statement. Over the next month or so, I will bring you our story of adoption. So many people know someone who has adopted or someone who is adopted, but so few people know what the process truly entails. It’s a roller coaster ride to say the least and sometimes you don’t even know if you are upside down or right side up, but the end of the ride is really just the beginning, and that’s where we are today. I am so excited to share with you, and hope that sharing our story will also help others who may be on the fence, or considering adoption to see the perfection of the beautiful mess that it is. So let the celebrating REALLY begin! 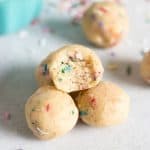 The past few weeks I have shared some recipes to get this fiesta started and these Funfetti Cookie Dough Bites are the grand finale. Earlier in the week, I shared this Ginger Orange Punch for a perfect Mocktail. Last week we had some cake with this Blueberry Lemon Mug Cake–technically not a great party treat because it’s really a dessert for one, but let’s not get technical here. 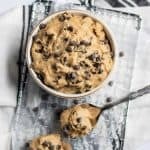 Today I bring you edible, eggless cookie dough that whips up in minutes. Growing up, my mom was EXTRA cautious about raw egg, so there was no licking the bowl of batter or cookie dough–well, at least when she was looking. (Sorry, Mom.) A while back I was pleasantly surprised by the fact that I could use chickpeas as a base for cookie dough as well. This Protein Chickpea Cookie Dough is more like a pre-workout snack than a dessert. 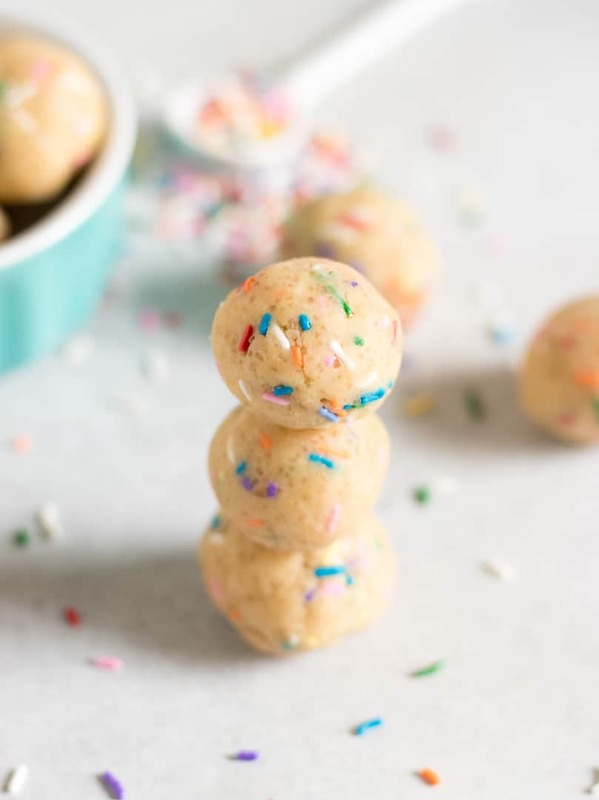 Still sweet and delicious, but today’s Funfetti version is essentially sugar cookie dough, like Grandma’s homemade cookie recipe, you know, butter, sugar, flour…but minus the eggs so you can eat them straight from the bowl. Recently, I did read that the FDA is advising not to consume uncooked flour, so I will add a disclaimer to this post below and advise you to eat at your own risk per the new regulations. There are no raw eggs in this recipe, so no need to worry about consuming them. 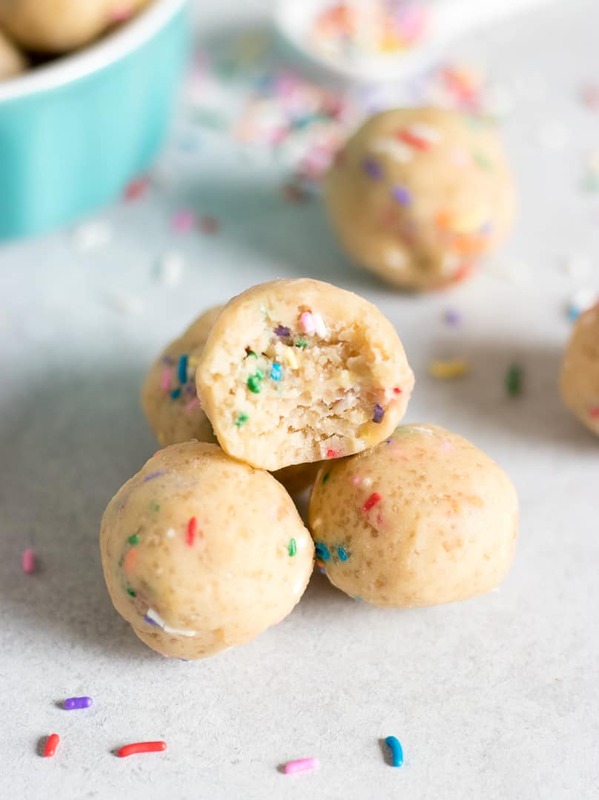 These were originally just sugar cookie dough bites, but honestly they looked a little dull. Had to add the Funfetti (aka sprinkles) to jazz these babies up so they won’t be tardy for the party! As far as ingredients go, if you need dairy free, use a dairy free butter substitute. As for gluten free, an all purpose gluten free flour will work. I used turbinado (raw) sugar because I like the crunch the big granules give them. Not for everyone, so use your favorite granulated sugar! Disclaimer: The FDA warns that eating uncooked flour can cause illness. Please eat cookie dough at your own risk. Using a standing or hand mixer, cream butter and sugar. Add in salt, vanilla and milk and mix together. Slowly ad in flour and mix until smooth. Stir in sprinkles. Chill for 15-20 minutes. 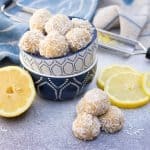 Roll into bite sized balls or eat straight from the bowl! Congrats on finalizing the adoption!!!! How wonderful. These look tasty too! BEST DAY EVER! So happy for you three! wow how exciting and congrats. Yummy recipe too. Thanks so much! We are in heaven! Thanks so so much Mimi! Thanks so very much Jen! So simple and so cute looking! Thanks for sharing this recipe idea! Congrats on your adoption!! 🙂 My husband and I are considering adopting so I can’t wait to read your story! 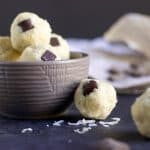 These cookie dough bites look so good too! Thanks so much Tami! Let me know if you have any questions down the road. These look sooo good and your pictures are beautiful! 😍 I used to raw cookie dough all the time 🙈 but I’ll definitely be trying these out! Thanks so much Jana. Yep, I still snuck plenty of the dough as well! Mmm these look delicious. I might even add a little mini chocolate chips to the chocoholic in me!